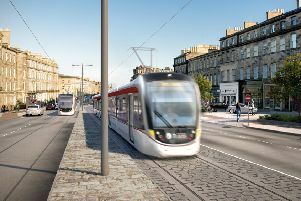 THE city council did not investigate allegations that the lawyer in charge of negotiating the tram contract received a £50,000 “thank you” payment and TIE staff were incentivised to secure softer provisions in the £776m contract - because there was not enough evidence. The Evening News revealed in March how TIE boss Richard Jeffrey had raised concerns in 2010 with head of legal Alastair Maclean, who reported them in a “highly confidential” memo to Jim Inch, who was the council monitoring officer. But Mr Inch told the tram inquiry: “I took the view that the information we had was hearsay.